In less than a month, Fannie Mae is implementing some tough new mortgage guidelines, including a larger minimum down payment requirement. Come November 16th, the maximum LTV ratio for loans delivered to Fannie Mae will fall from 97% to 95%. In other words, you’ll need to come up with a 5% down payment if you want to go the conventional route, even for HomePath financing. The rule change means the “Conventional 97 loan” is essentially a thing of the past, and borrowers with little set aside will probably need to look elsewhere for low-down payment financing. 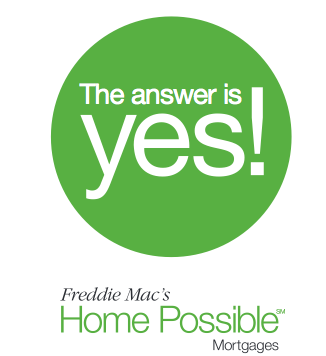 Don’t even ask about Freddie Mac’s “Home Possible 100 Mortgage,” which was touted during the housing boom, flanked by this cool little graphic that kind of summed up the default underwriting decision. The word “yes” was common prior to the mortgage crisis. Will Fannie Mae Borrowers Flock to the FHA? Anyway, when the change goes into effect, those seeking to put the least amount of money down will probably have to turn to the FHA, which should send the underserved back to the agency originally created to serve the underserved. The FHA only requires a 3.5% down payment, though borrowers do need minimum credit scores of 580 to qualify (10% down if score below 580). However, FHA loans have become a lot less attractive than they used to be, thanks to numerous recent changes to the associated mortgage insurance premiums. For example, the FHA raised the upfront mortgage insurance premium to 1.75% of the loan amount while also boosting annual insurance premiums. If that wasn’t enough, the agency also requires mortgage insurance to stay in force for the life of the loan in many cases, instead of being dropped once the homeowner pays down the loan to 78% LTV. So it’s not a cheap alternative by any stretch, and strengthens the argument to come in with more cash if at all possible. 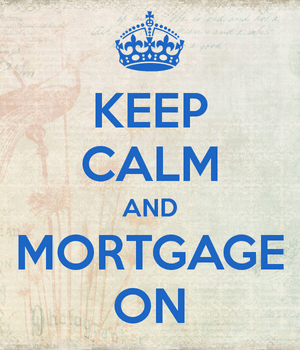 Of course, there’s always the VA and the USDA loan program, both of which do not require any down payment. But these programs don’t work for all borrowers, only military families and those in rural areas, respectively. Why Is Fannie Increasing the Minimum Down Payment Now? Well, apparently they didn’t really want to offer the low-down payment loans to begin with. Over the past several years, FHA loans became super attractive thanks to their low-down payment requirement and relatively low mortgage insurance premiums. At the same time, private mortgage insurers had overlays in place that limited who could get financing with just 3% down. So there probably weren’t too many conventional home loans with 3% down being originated over the past several years. However, as previously noted, FHA loans aren’t very attractive these days, and private MI companies have since loosened underwriting guidelines. All that said, former would-be FHA borrowers seemed to have made an exodus to Fannie’s 3%-down loan program. This is evidenced by the fact that private mortgage insurers saw policies on 3%-down home loans nearly double over the past year. In other words, it appears as if Fannie took note of this and decided to nip it in the bud before it became a “thing” in the mortgage world. Aside from the down payment increase, Fannie is also banning interest-only loans and loans with terms greater than 30 years, which coincides with the Qualified Mortgage rule set to go live early next year. Note: Fannie indicated that loans submitted via Housing Finance Agencies are subject to separate LTV ratios, so 3% down could still be a possibility for certain homeowners. Stay tuned. Very informative and enlightening article, Colin. Thanks!